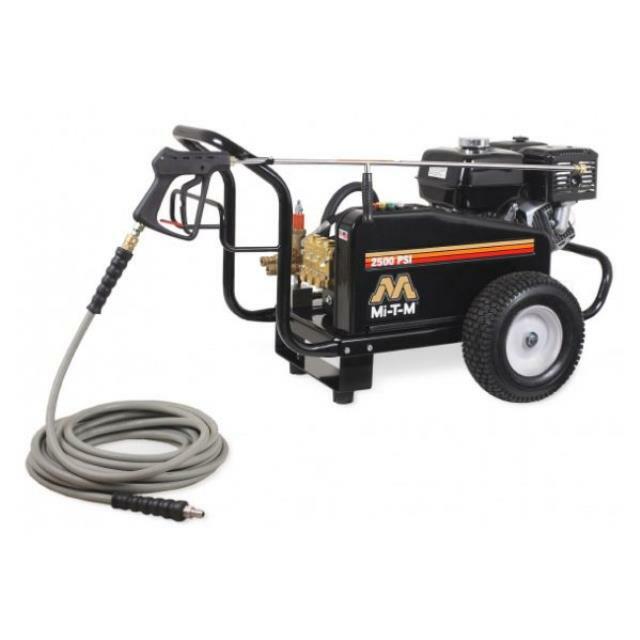 MI-T-M 2400 psi pressure washer. Requires a minimum of 3.0 gallons per minute of clean water pressure. 6.5 hp Honda gasoline engine.